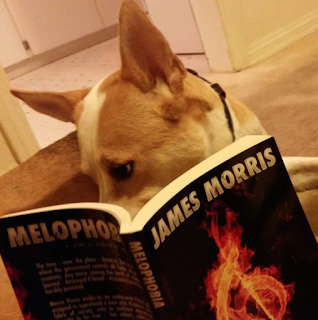 Fellow Kindle Press author James Morris is a former TV writer with credits including “Smallville” and “Crossing Jordan.” His young adult thriller What Lies Within and his New Adult novel Melophobia were published by Kindle Press. My father passed away in 2008, and I would pick him. I would pick my wife, Melissa. And the third guest, strange as it sounds, would be me from high school: I would try and tell that young version of myself all the things I wish I’d known then – about the rhythms of life, its ups-and-downs, and to not worry so damn much. And I’d go to the most beautiful place I’ve ever been: Kauai. I am most definitely a plotter, and maybe that speaks to the books I generally write: fast-paced, and usually concerning a moral question. I’ve tried the seat-of-your-pants thing, and it’s never gone well. It’s one of the reasons I’ve never taken part in National Novel Writing Month. I know it works well for other people, but not for me. I think it comes from my background in screenwriting: you had to have a story, an outline with all the beats filled in to give to the executives; they of course would weigh in, and the story would change. So I’m very comfortable with taking an idea, pulling it like taffy, and writing down the major beats. Then I can go in and have a ton of fun writing scenes and allowing myself to “get loose” knowing I’m safe within the borders of a story that (I think) works. The beat sheet always changes along to the way to various degrees, but I know where I’m going to start and I know where I’m going to end. I used to have an almost OCD-like need to give a book I picked up a full read, but as I’ve gotten older, my time more limited, and the range of choices higher, well, I’ve grown to just let things go. If a book doesn’t keep my attention, then I set it aside. Sometimes, I realize I’m simply not in the right mood and that same book I’ll pick up weeks or months later, and finish. But other times, I realize pretty fast: I’m not the right reader for this book, and it goes into the Goodwill pile. 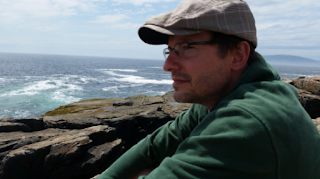 I won’t name any specific books because they certainly have audiences with other readers – just not me. I have a feeling any writer who says they don’t read their reviews is lying. Yes, my writer friends say not to, and I’m getting to the point where I agree. I am definitely trending towards not reading reviews. But as an honest answer, today? I do. Here’s the good: you like seeing the validation of your work. Even for mediocre reviews, I find seeds of things to keep in mind for future works. Hmm, I think, that’s not a bad critique; I wish I’d caught that sooner. The bad? Well, it’s easy to go on an emotional roller-coaster. Hey, here’s a great review! Only to be followed by a scathing one. The up-and-down, I’ve found, is not healthy. But the other thing I’ve noticed is I think: what could I have done to please that reader? And that’s a very dangerous road, for it begins to make me second-guess my own instincts. It’s also strange when one of your books gets better reviews than another, even though you worked just as hard on one as the other, and you start to think: well, maybe I’ll write more like that. But I can’t. Each book, to me, has its own tone, its own style. They are my literary children, each with their own characteristics. Rationally, you know not everyone likes everything. But we’re not rational creatures, are we? Short answer: I read reviews. But down the line, my answer will most likely be no. I work very hard with beta readers to make sure that my draft is fairly clean before any copyeditor sees it. So it’s never a matter of cleaning up grammar; it’s the usual things: I’ve become too close, too biased to see a logic flaw that I’d forgotten. An author, I forget who, described novels as “a long piece of writing, usually with a flaw.” The quote was in the context of writing novels versus short stories. And I found that description apt. It’s a complete mix of adding and subtracting. I’ve found from first to final draft that I have reduced and added so much that the word count remained nearly the same. It’s hard to say what I cut: it’s not as simple as saying “I cut redundant information.” It’s more expanding an emotion here, cutting dialogue there, adding some padding, or removing a scene that serves no purpose. And each project is different. I try during the revision process to find “the tone” of the book, almost like a real sound in my mind, and match it so that from the first page to the last, it’s consistent in every way. For What Lies Within, it was a sense of unease; for Melophobia, I wanted to bring more sensitivity to the writing, to the world, to describing sounds through words. Melophobia was initially born from an idea long ago when a friend told me he thought the United States was on the verge of revolution during the Vietnam era. Maybe he was right. Maybe he was wrong. But I liked the back-story of: what if there really had been a revolution, and the government cracked down on the concerts and the music that seemed to fuel the Anti-War movement? The question then became: what do you do with that? Do you tell the story from the initial revolution? That seemed too political, and too historical. So I thought: how could I make it more contemporary and tell it from the point of view of someone who grew up in this new world where life would seem normal? Once I did that, it became easier to find conflict in my main character’s life. Of course, in retrospect, it all sounds so easy to find those links, but they take time and lots of wrong turns first! Write because you love it; there is no other reason. The time--now; the place--America, but in a world where the government controls all forms of art and creativity. 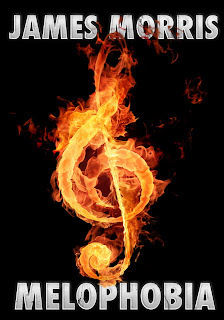 Any music sowing the seeds of anarchy is banned--destroyed if found--its creators and listeners harshly punished. Merrin Pierce works as an undercover Patrol officer assigned to apprehend a fugitive musician who threatens the safe fabric of society, only to confront everything she thought to be true - her values, upbringing, job, and future.